This has been my secret, strange and abnormally mystical ambition to sit alone … to retire entirely from everything and everyone that is important – and allow my understanding (or maybe it’s my misunderstanding) of how environment can mould, shape or even stain the personality of a genius. Winsor and Newton deep ultramarine oil colour has an obsessive, ecstasy-like effect upon my nervous system quite unlike any other colour. Whiteley’s 'The balcony 2’ 1975 was inspired by Henri Matisse’s 'The red studio’ 1911. 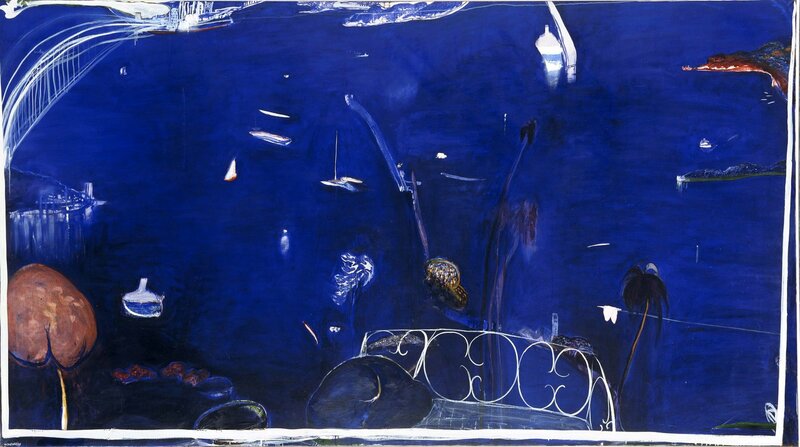 In this vast canvas, Whiteley flattened the picture plane, saturated it with ultramarine blue and shifted the horizon line beyond the edge to allow the viewer to experience the natural beauty of Sydney Harbour, his home. The paintings … begin from the … highest point of affection – points of optical ecstasy, where romanticism and optimism overshadow any form of menace or foreboding … Almost all the works have been rendered in a lyrical and personal style where colour … has this time been used in saturation. 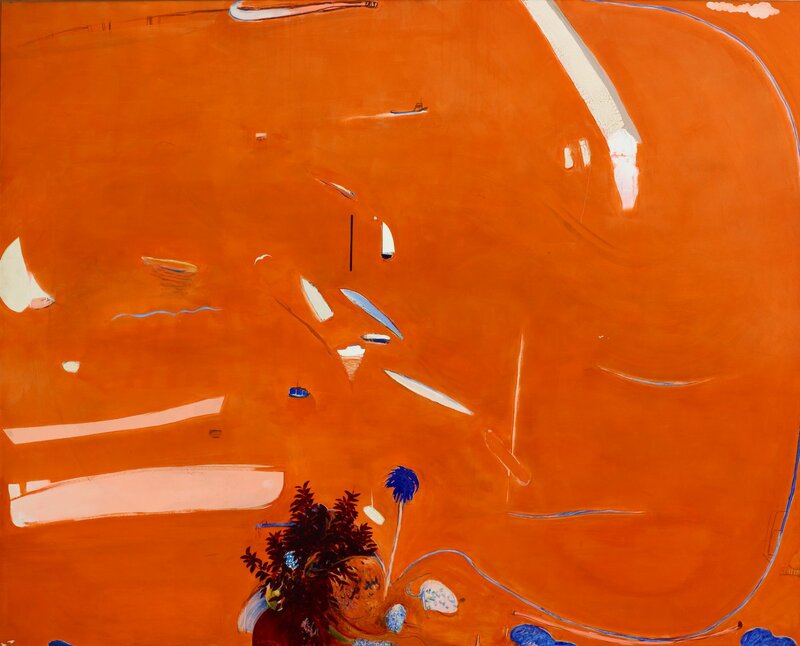 Whiteley’s return to Australia in 1969 heralded a new preoccupation with colour and beauty. 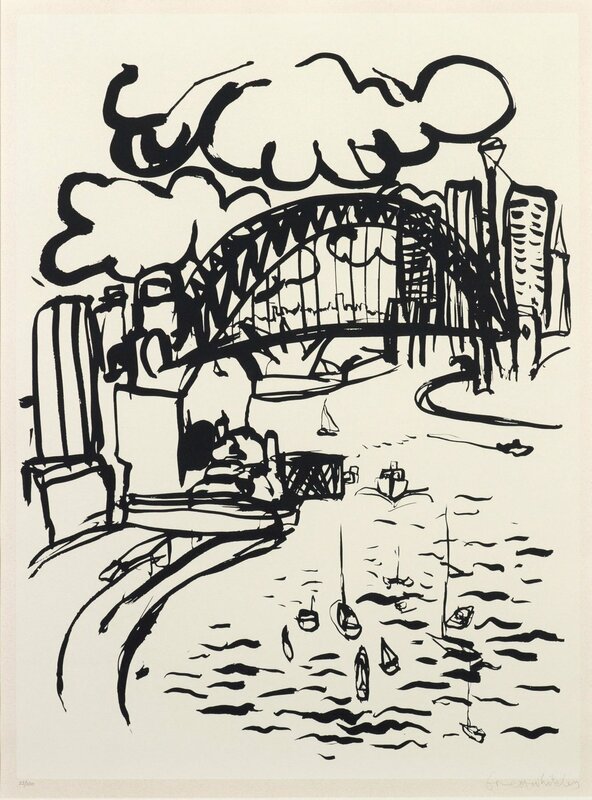 Inspired principally by Matisse, but also by his house at Lavender Bay on Sydney Harbour’s north shore, he created a series of large scale paintings of expansive interiors and views evoking the marine beauty of the harbour. 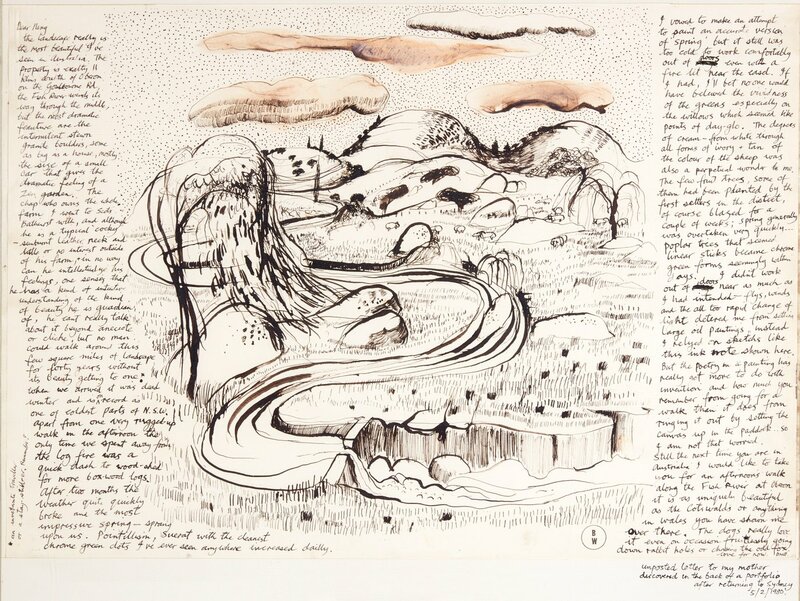 From Bondi to Byron Bay, the beach formed an ideal location to stage Brett Whiteley’s extraordinary figures, engaging and interacting with each other and the sun and sea. ... I think he literally almost stuck a pin in the map. He just wanted to go somewhere that was a complete antithesis to all the intensity about the war – somewhere where there was nothing happening really – and beautiful weather, and all you do is swim and eat. In July 1969 Whiteley flew to Fiji, seeking the refuge of a world far removed from the chaos and stress he encountered in New York. Wendy and Arkie followed shortly after, and for a few months he enjoyed the tranquillity he had known in France seven years earlier. It was his attempt to glimpse the pure states of paradise envisaged by Baudelaire and Gauguin. His aim was to paint the beauty of the landscape and the people, to search for a state of peace and let his imagination exist unencumbered by the pressures of a city lifestyle. The humorously titled ’15 great dog pisses of Paris’ suggests the urban streets of Paris stained by the city’s dogs, who are indulged and paraded by their owners. The work is grand in scale, which accentuates the sweep of line, and the use of collage is integrated with the painted surface. Some charcoal drawing is consciously left as a reminder of the process of the painting. The physical texture of plaster on the wall sweeping toward the viewer enhances our experience. The motion of the flowing Seine has been suggested with gestural brushstrokes. The tonal relationship of the creams and browns softens the image and reminds us of the stone from which Paris is built. I first went to Paris at age 20, but was so obsessed with modernism and abstraction to paint it. Now with fresh eyes, I could respond figuratively and lyrically to the one ravishing subject – Paris and her cultural heroes. I love the stoniness and creaminess, that wonderful soiled magnolia feeling. Paris is so sensual, beautiful, flirtatious, mischievous, arrogant, orderly, civilised … and every street I turned, I could see another picture. Whiteley was attracted to the hybrid energy of New York, which seemed to encapsulate the insanity of Western civilisation at its most violent while projecting the possibilities of immense creative energy. 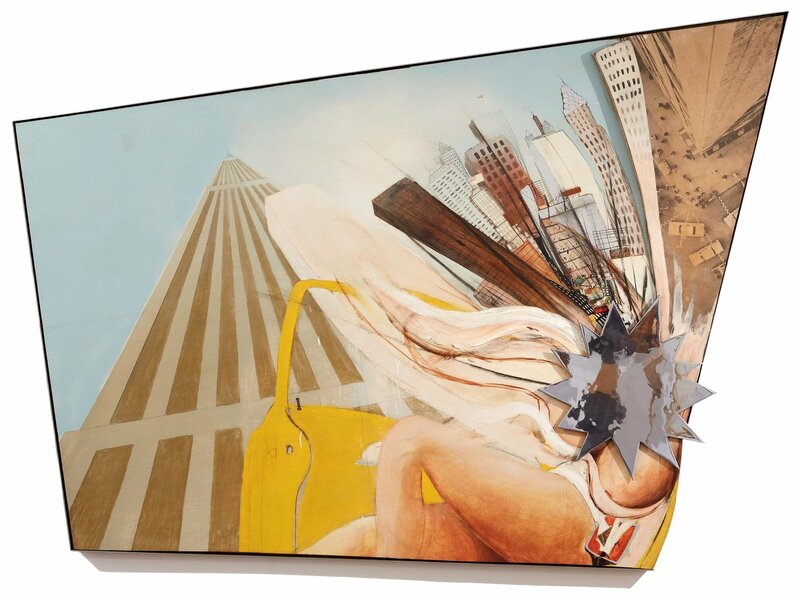 It was there, during his two-year stay on a Harkness Fellowship from 1967-69, that Whiteley embarked on one of his most ambitious painting projects: the massive eighteen-panel 'The American dream’. This was the largest work ever executed by Whiteley, and its sheer scale may have been prompted by the contact he made with American painters at that time. With its mood of violence and despair, this magnum opus is essentially an expression of Whiteley’s disappointment with America. But it also contains the anguish of a personal crisis which touched his life at the time. 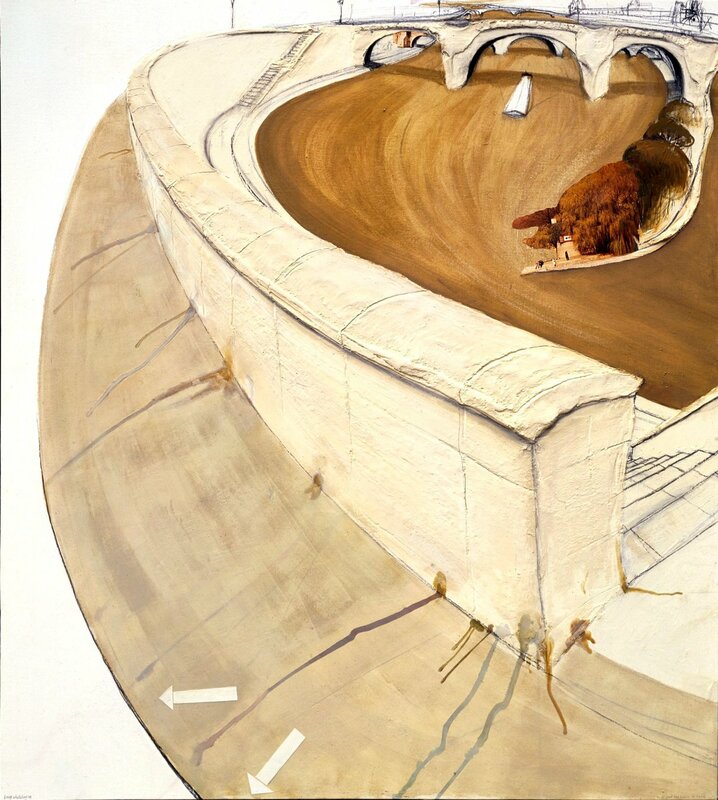 Shortly before taking up a Harkness Fellowship in New York at the end of 1967, Brett Whiteley travelled through Morocco, Majorca and Madrid, where he visited the Prado Museum and studied the fantastic imagery of the Flemish painter, Hieronymous Bosch. 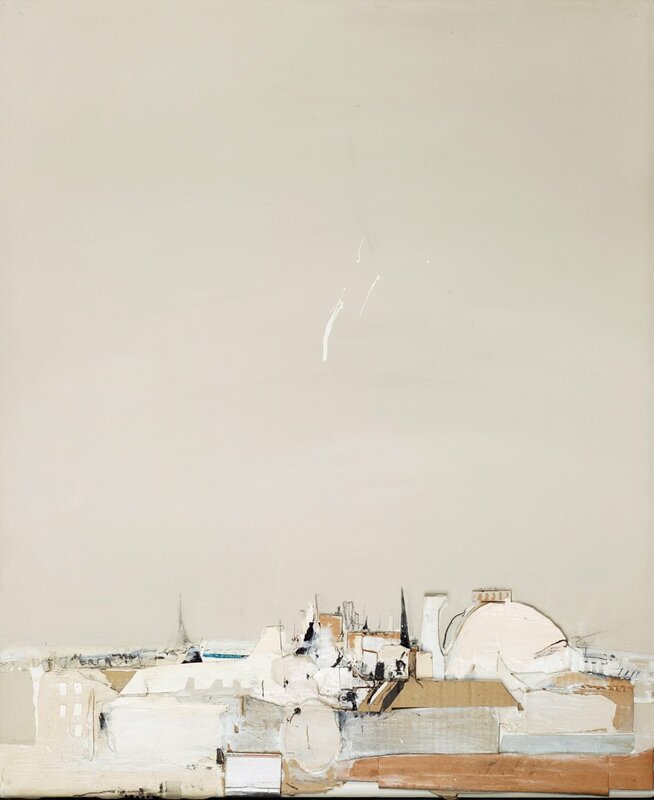 Upon returning to London, he completed a number of paintings which would prefigure his epic eighteen-panelled work 'The American Dream’ 1968-69, which he completed while living at the legendary Chelsea Hotel in New York. 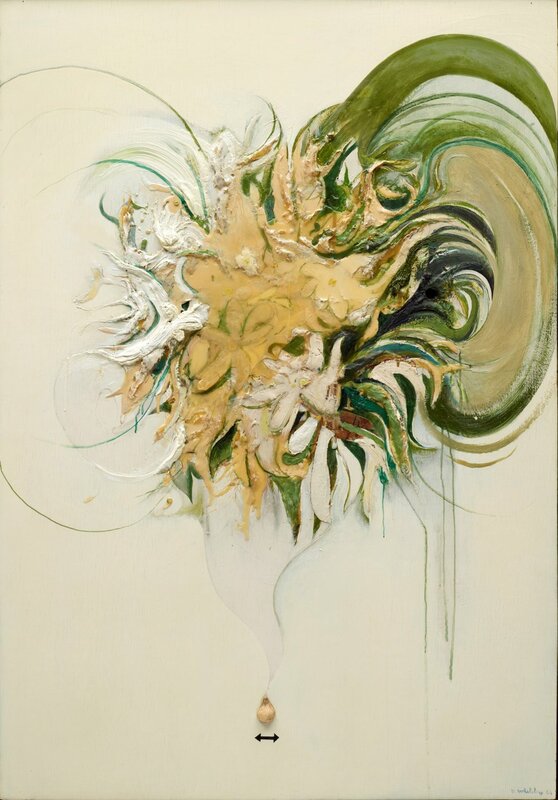 'Listening to nature’ c1967, comprises several elements seen in 'The American dream’: the use of thick resin and plaster to build up the surface; the flap and lobe of an ear; and the inclusion of collage elements; all of which suggest this work may have been a preliminary canvas in which Whiteley tested the limits of his materials. 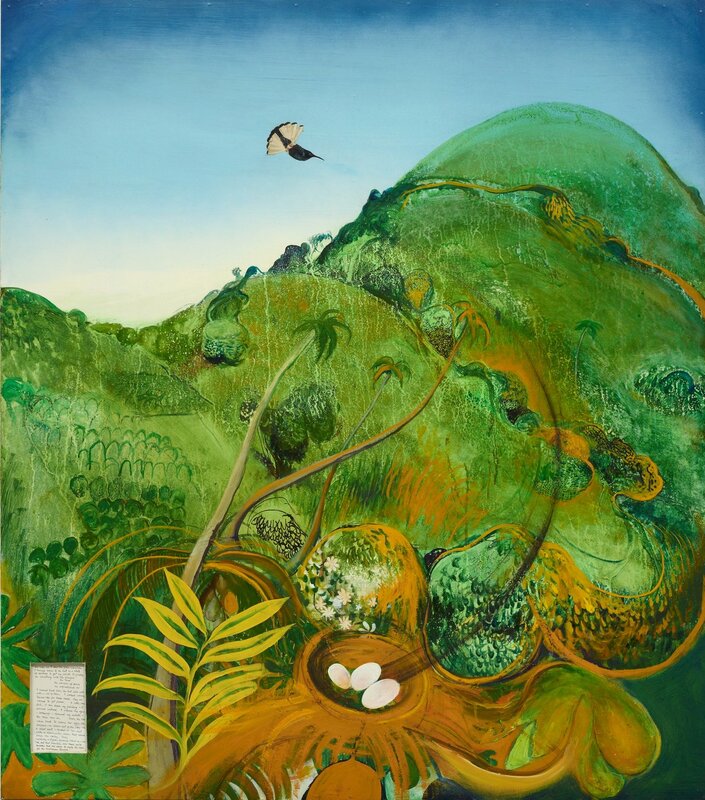 What is the relationship between Brett Whiteley’s body of work and the places he lived and visited in Australia, America, Fiji, Italy and France? Use these examples to support your point of view. How has Whiteley distorted reality in these artworks to represent a personal and psychological experience? 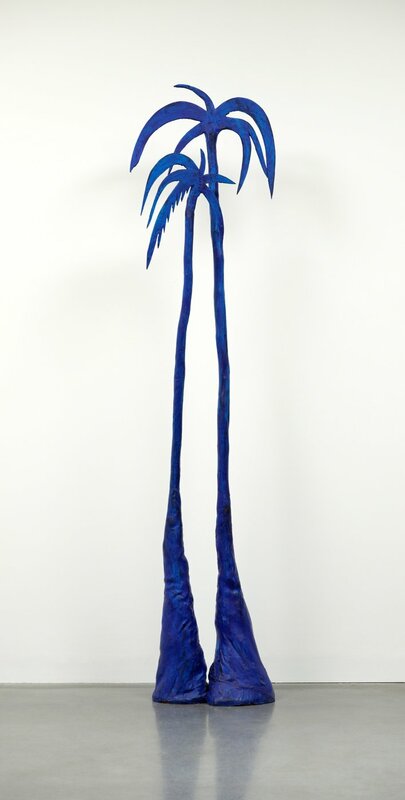 Discuss how cultural experience has informed Whiteley’s art-making practice. Imagine you are in a place you have never been before. What does it sound like? What can you smell? How does it look and feel? Record your responses in writing. Make a map of your imaginary place, labelling any buildings or structures, streets or tracks, rivers and other landmarks. Create a postcard of a holiday destination that is familiar to you, using a variety of materials. Include a written description of the place and your feelings about it on the back of the image. The postcard can then be posted to your home address or the school and, once received, displayed as a collective installation. Explore your environment or personal space. List words to describe its qualities and features. Focus on elements that would normally be overlooked. Create a series of artworks based on your connection with this place using text and images.